Bloodborne, From Software’s upcoming PlayStation 4 game, is currently featured in EDGE magazine’s latest issue. The magazine details some impressions they have of the game after a 40-hr playthrough. 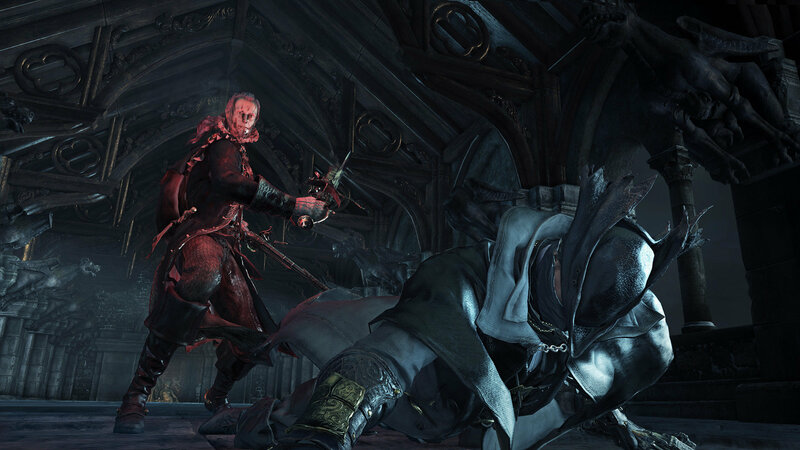 Playthrough did not involve Chalice Dungeon or multiplayer – they also did not complete the game in 40 hours. Description on the first shield they found: Shields are nice, but not if they engender passivity. “Discrete areas flow together to create a believable world” – separating the hub from the main gameworld allows the world itself to be more coherent, interconnectivity is present and very complex throughout the game – they compare it directly to Dark Souls’ “falling apart” in the second half and say that unlike Dark Souls, Bloodborne maintains its dense, interconnected world design through the other game. They say several areas rival Firelink Shrine in terms of interconnectivity. They say in Souls you are frequently scared of dying, but in Bloodborne you are also scared of what is coming to kill you – “There is a moment in Dark Souls that we will never forget: down in the Depths, picking up an item from a corpse and a slime dropping onto our head. We spent the rest of the level panning the camera endlessly for unseen threats, no longer scared of dying, but of moving. Imagine a whole game of that.” – For this reason they think taking the replayability factor to CD makes more sense. Based on EDGE’s verdict, it seems like Miyazaki’s got a lot in store for both new and old players, so those who have played Demon’s Souls seem to be in for a treat. 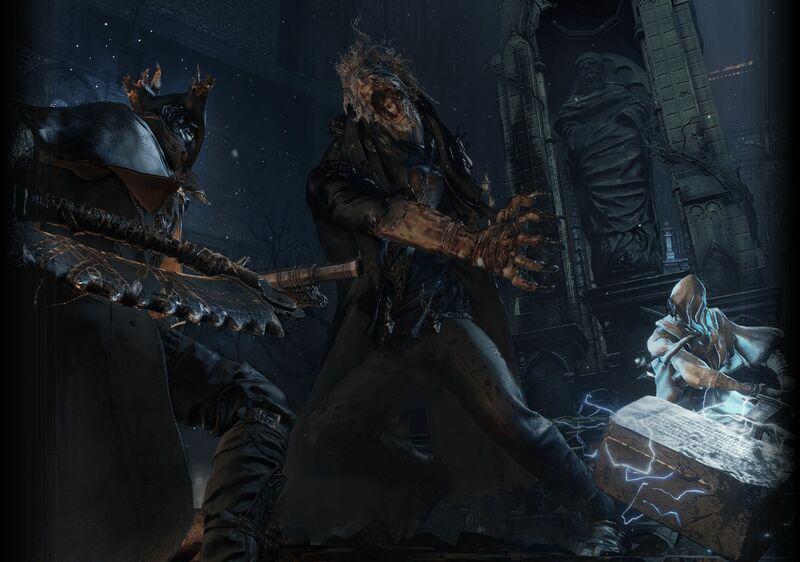 Bloodborne will be available in your local retail stores on March 24, 2015 and to commemorate the release, Sony is giving away a free Bloodborne PlayStation 4 theme. Just simply redeem this code via the PlayStation Store: J4ND-DJNH-K3C7. NOTE: THIS CODE IS FOR US PLAYSTATION ACCOUNTS ONLY.